Engine tuning is a wonderful thing, which makes adding horsepower as simple as plugging a computer into your car's ECU and loading a piece of software. The Volkswagen Golf platform is quite receptive to this type of modification, allowing tuners to transform their innocent hatchbacks into sleepers that can leave cars far more expensive in their dust. The ABT Golf VII R is far more than just an ECU tune, adding an arsenal of special performance parts to take on more expensive mega hatches. 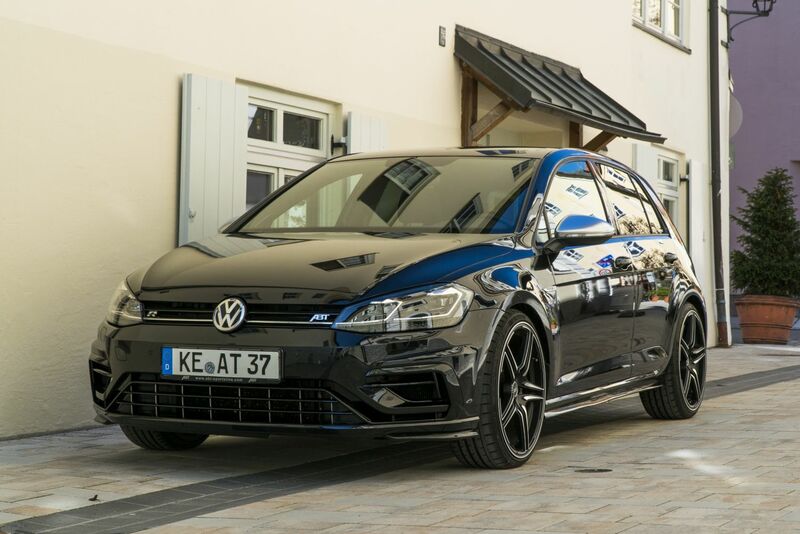 Yes, ABT Sportsline did just develop software that will bring the Mk7.5 (2018) Volkswagen Golf R's performance up to 400 horsepower and 369 pound-feet, but the ABT Golf R receives other mods to make it a proper match for the Ford Focus RS and other top-tier hot hatches. 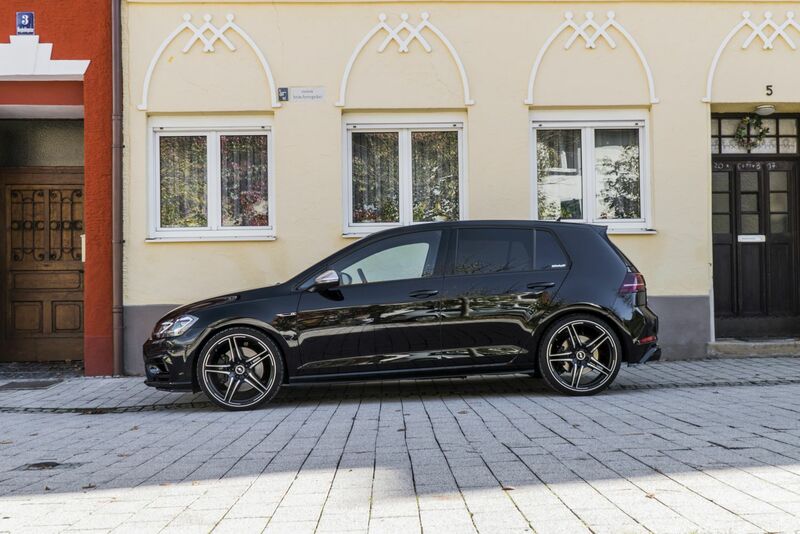 All parts for the ABT Golf R are optional, but a fully-loaded model is well worth it (although prices aren't given). 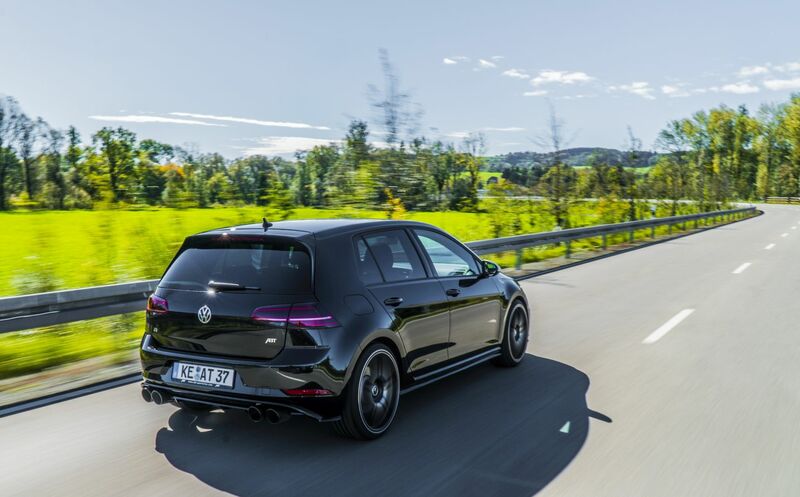 ABT sway bars and adjustable lowering springs that drop the Golf by nearly two inches will minimize body-roll and keep the R planted in the corners. With the power upgrade, the company highly recommends its six-piston brakes to keep this insane Golf out of the bushes. ABT adds some aesthetic upgrades like side skirts and a non-functioning diffuser to give the Volkswagen a more aggressive rear valance. It also offers four rim styles in 18, 19, and 20-inch as well as ABT floor mats, a must-have of course. If the exterior bits don't turn enough heads, ABT highly recommends its larger exhaust system finished in black chrome for a more pronounced growl. The stock Volkswagen Golf R is already more than capable with all-wheel drive and nearly 300 hp, but the ABT-tuned variant goes all-out to give the R the proper "mega hatch" treatment. VWVortex thinks that ABT's car is setting its sights in particular on the new Mercedes A45 AMG, which is rumored to have 400 hp.